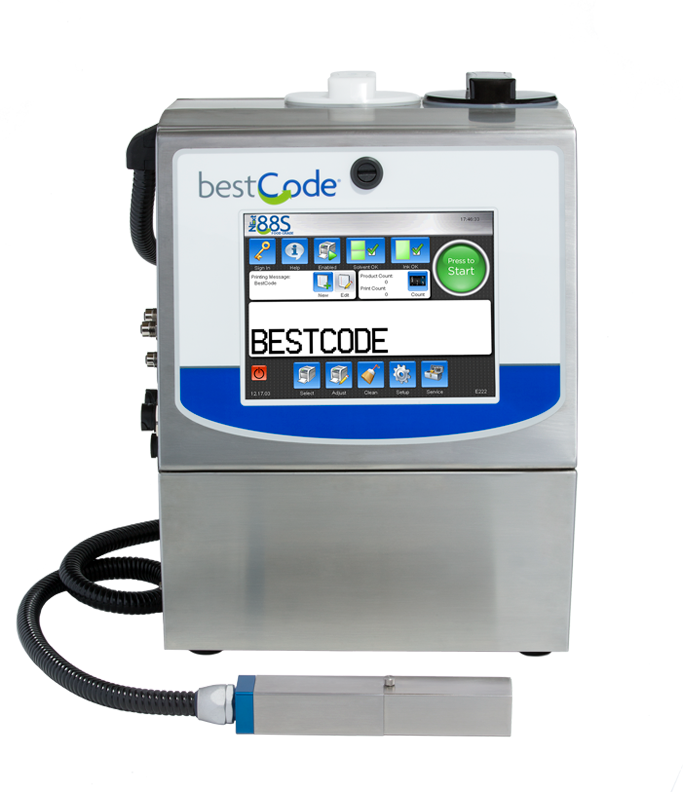 BestCode - Model 88S High Speed high use applications, bottling applications. The BestCode Model 88S High Speed is targeted at higher speed, high use applications, printing 1, 2 or 3 lines of text, barcodes, or graphics. This model typically is used in high speed bottling applications such as large breweries and soda manufacturing. A complete range of dye and soft pigmented inks available and specialized inks for bottling applications including caustic washable inks for glass and plastics.